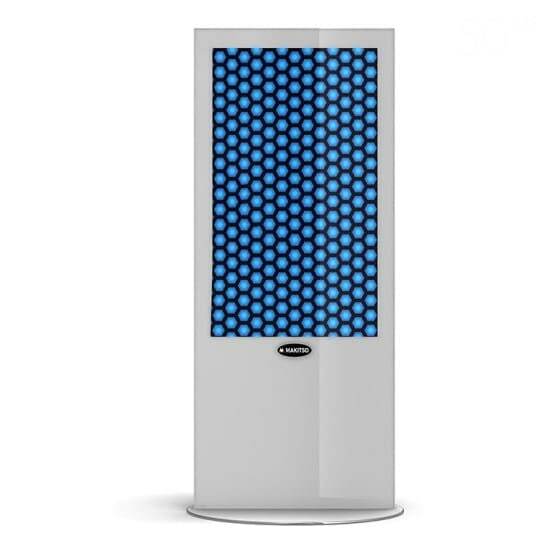 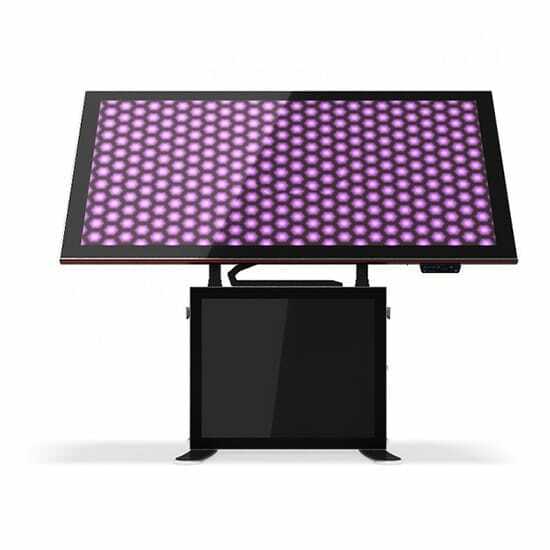 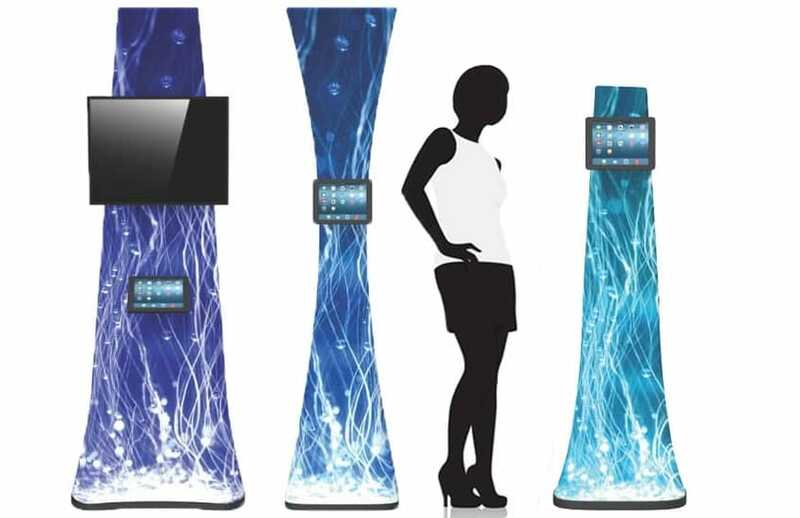 Our Interactive Display Solutions section is designed to offer you several options to display your digital assets in attractive and effective manner as stand alone solutions or in combination with custom-branded graphic panels. 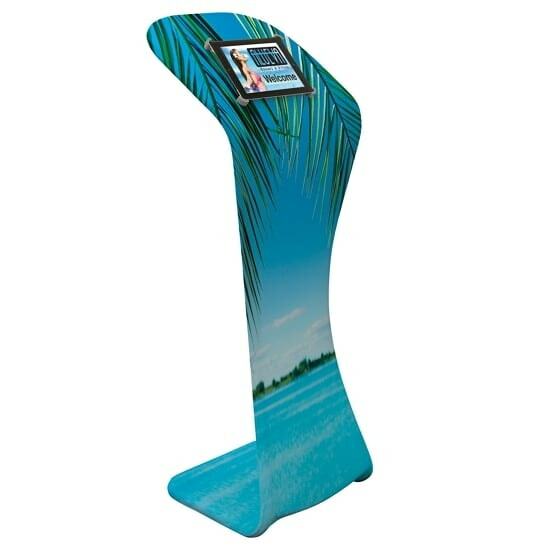 Capture your audience by using multimedia contents on a variety of displays such as iPad stands, tablet kiosks and digital poster screens that can be customized with your brand and logo. 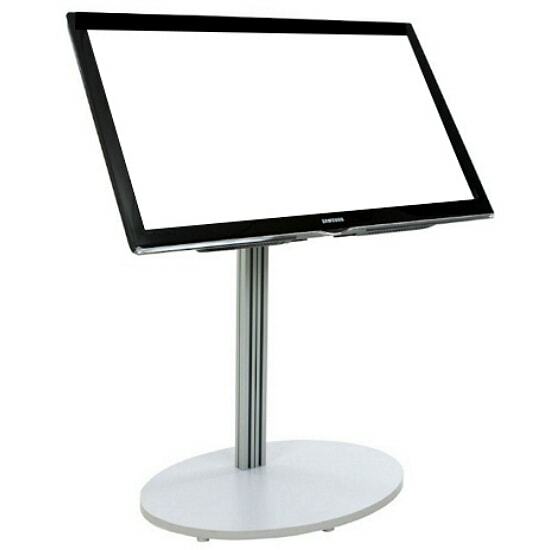 Engage your customers and create a memorable and lasting experience with fun, interactive, HD digital contents about your organization, its services and products. 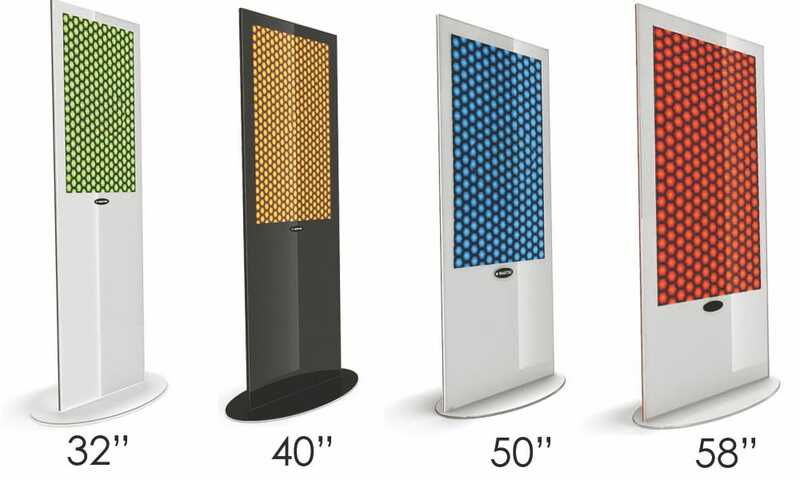 We are bringing to your trade show exhibits, retail or corporate locations a wide variety of Digital Display solutions that easily deploy. 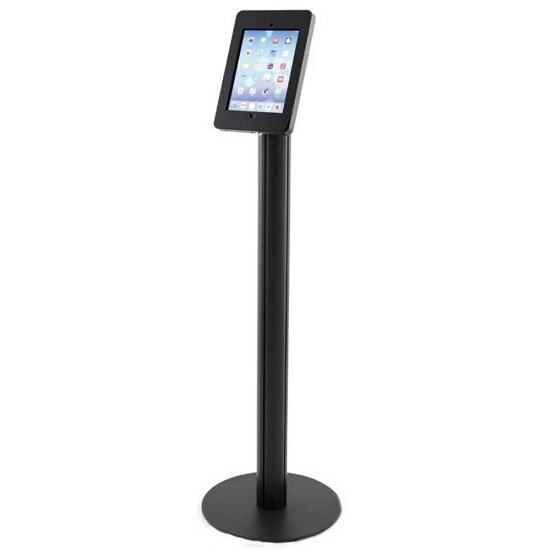 The iPad Floor Stand and Kiosk are free standing and sleekly-designed to encourage interactivity and engage your customers in any space. 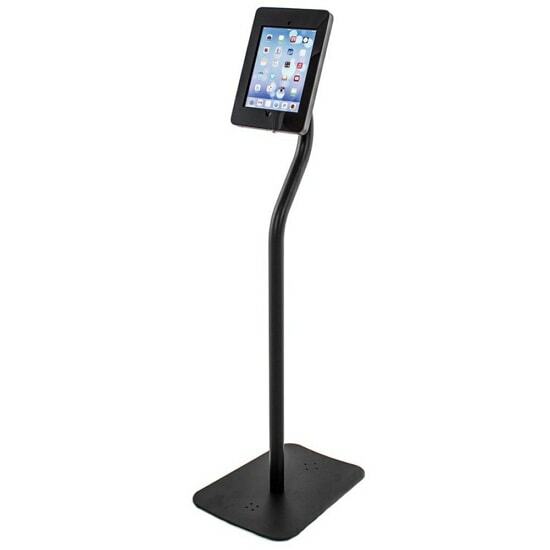 The Pro Hybrid iPad Floor Stands sturdy display frames rotate 360° from portrait to landscape to present your interactive content at its best. 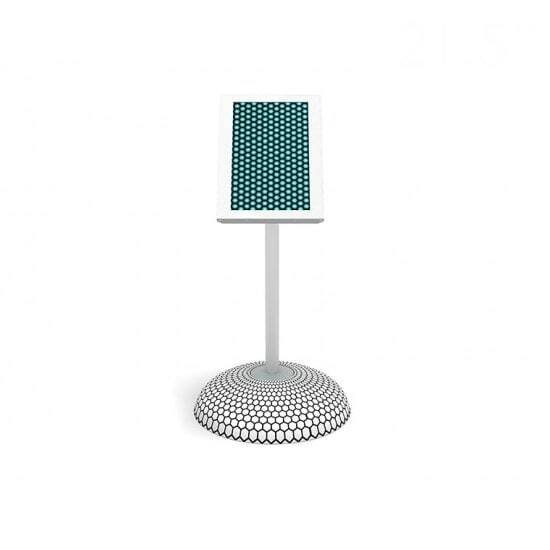 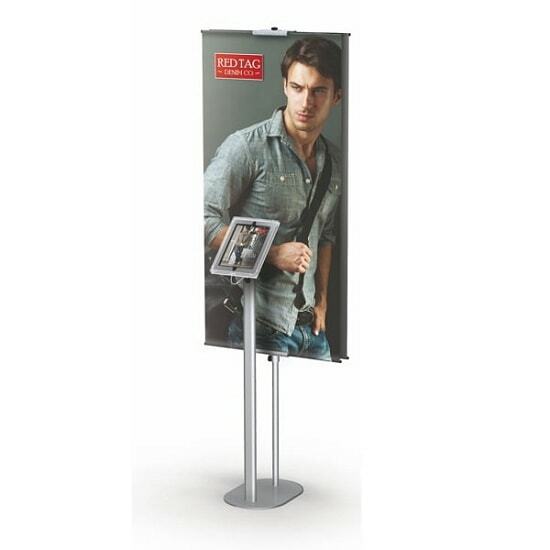 With the Fabric iPad Floor Stand turn your iPad into a marketing kiosk. 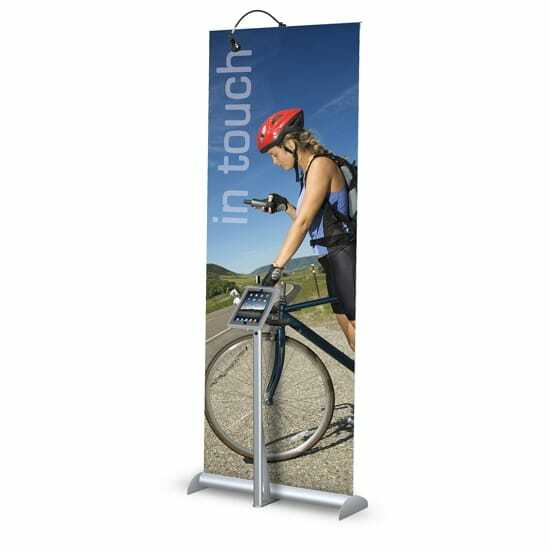 Vibrantly dye sublimated graphic fits tightly over frame creating a wrinkle-free look. 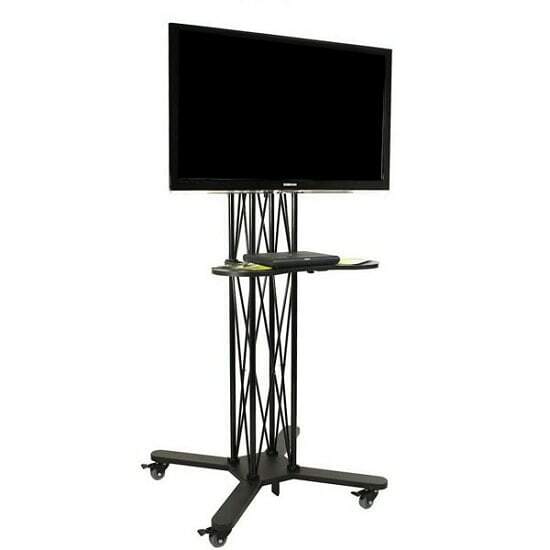 These Trade Show TV Stands are designed to maximize portability and performance. 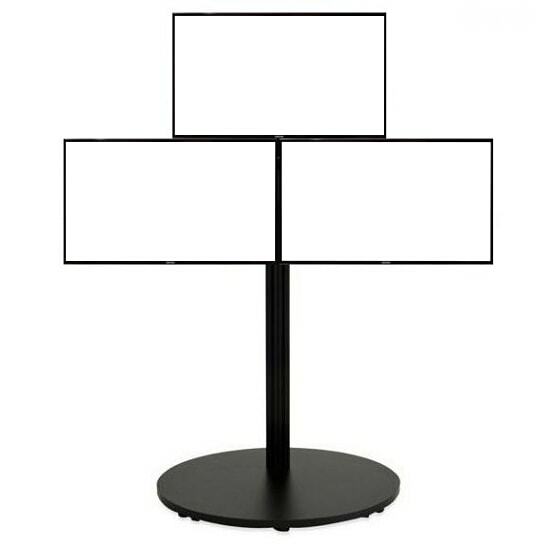 Each is simple to use yet made of the lightest weight, most durable materials for years of use. 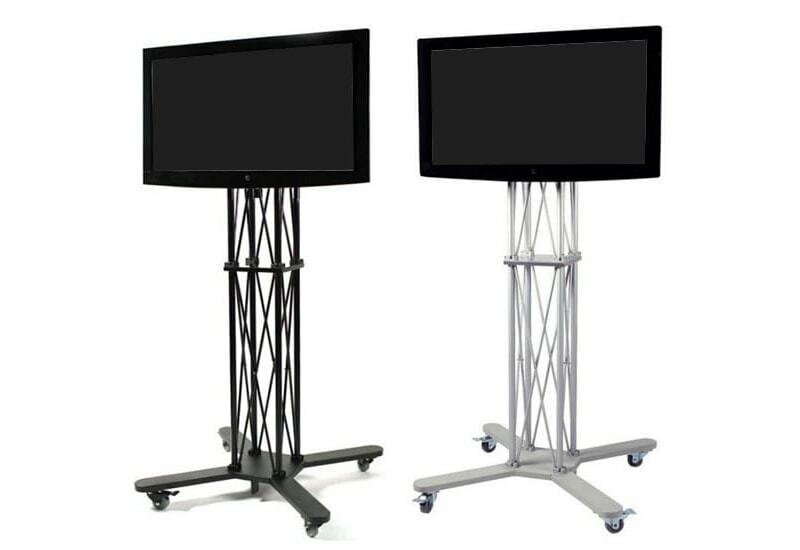 Trusses and columns are anodized aluminum, and bases are sturdy MDF. 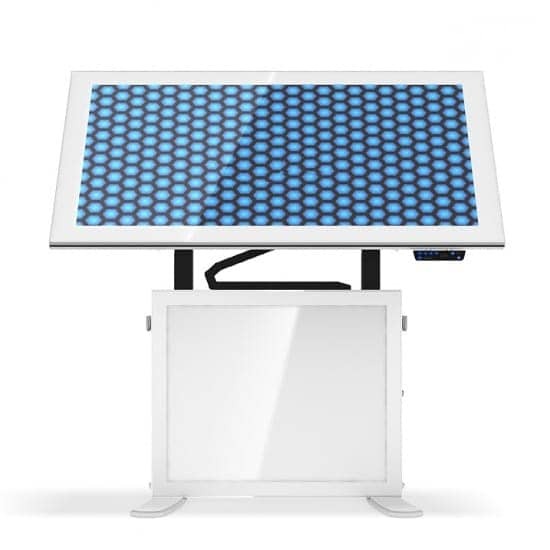 Setup takes less than five minutes with minimal use of tools. 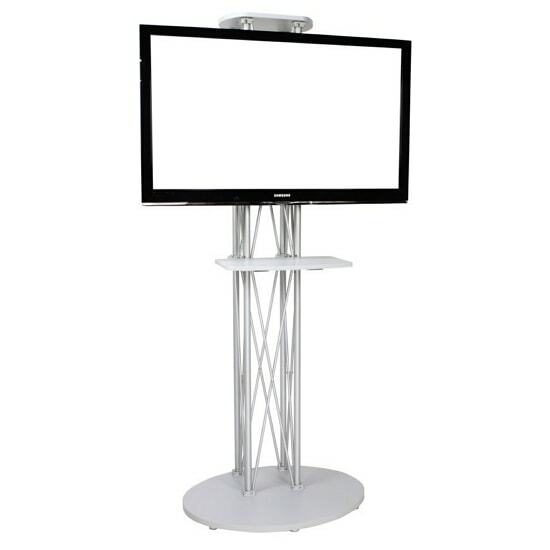 All the Trade Show TV Stands come with heavy-duty nylon, padded carrying cases made for years of continuous use. 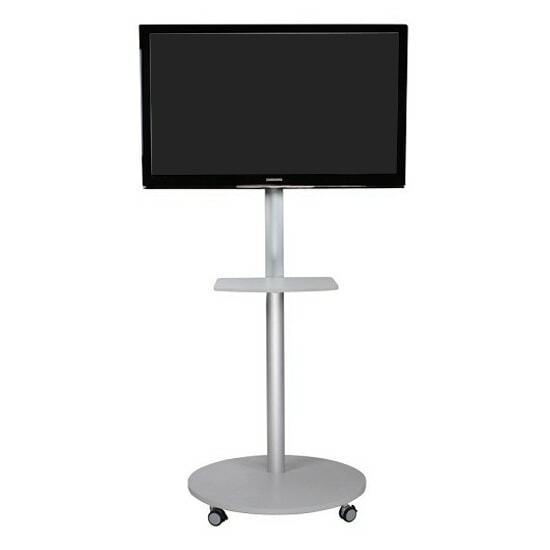 Our Digital Poster Screen solutions are the perfect answer to your needs for an elegant and cost effective solution to impress and engage your audience with multimedia contents. 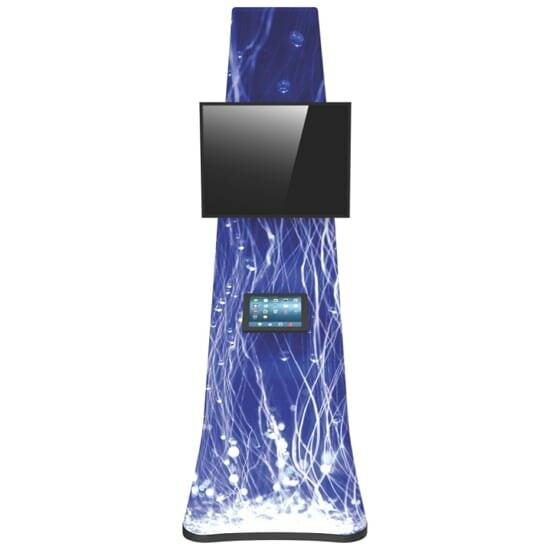 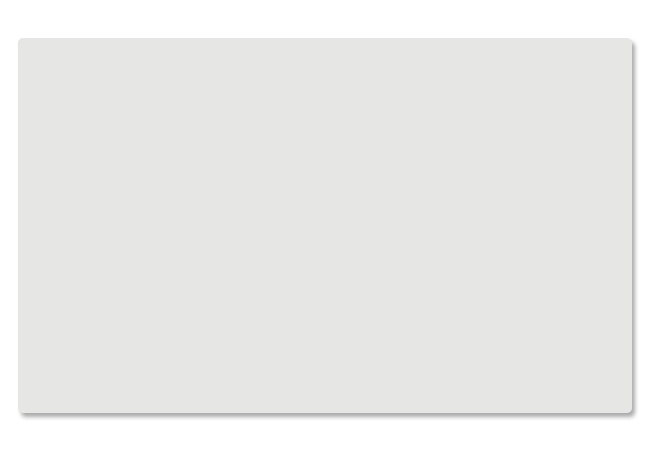 With the optional touchscreen will enable your customers to interact with your digital contents, browse your store or web site and purchase on-line seamlessly. 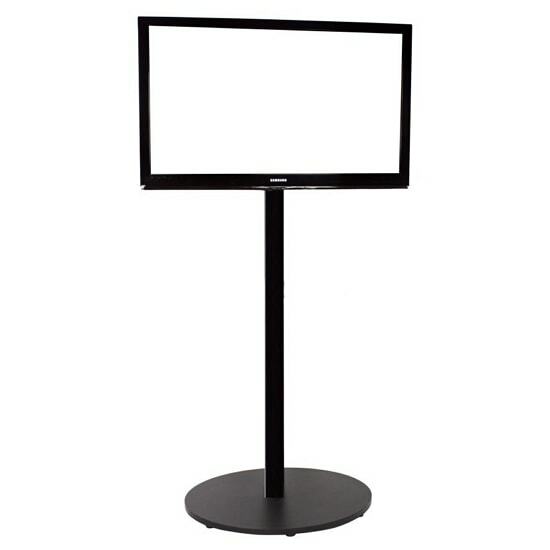 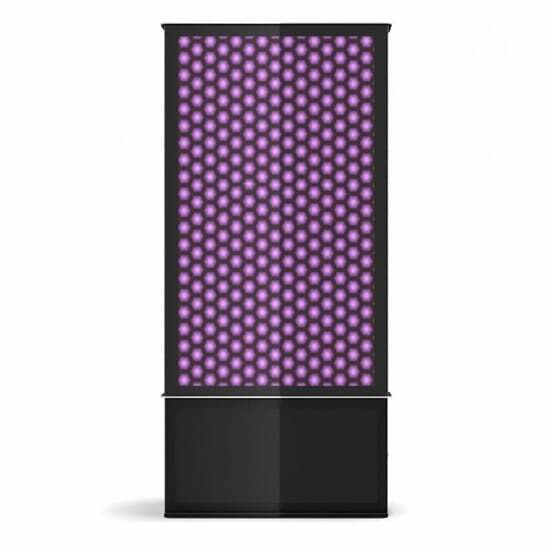 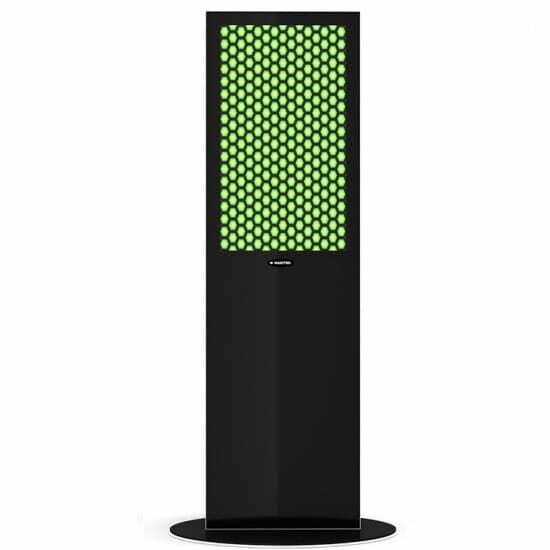 Choose from either an Android based interface or a Pro 4K resolution interface to present your message on your Digital Poster Screen.